When you’ve had a long day at work or school and just want nothing but to lay on your couch and have a long overdue rest, you suddenly feel the urge to listen to music. Problem is, your speakers are ALL the way across the room, and getting up and plugging your iPhone in is just not worth it. Thank goodness for AirPlay, Apple’s wireless streaming technology. Just turn it on, connect to your WiFi, and your favorite tunes will come blasting from your AirPlay capable speakers. Pure has created the perfect solution to your wireless streaming needs. The Contour 200i Air is compatible with your iPod, iPhone, iPad, or your iTunes from your computer. 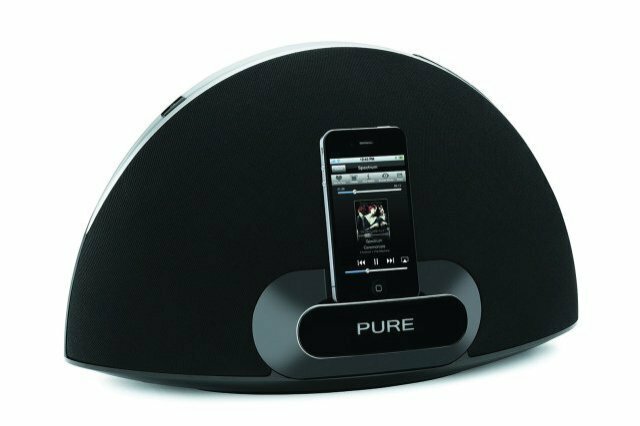 Pure doesn’t plan for you to listen to cheap quality sound either; delivering 36W of audio heaven to your ears. Best of all, if you have multiple Contours set up throughout your house, you can stream music to all of them. If you choose to, you can take advantage of their free app, the Pure Lounge, where you can find a plethora of radio stations catering to your needs. Pure has yet to announce the official price or release date, but don’t worry, it’s coming soon.